When you choose Honda Morristown, you can shop with confidence and peace of mind thanks to our complimentary Lifetime Warranty. With any new or qualifying used vehicle purchase made here at our dealership, you’ll receive our exclusive Lifetime Warranty with unlimited time and miles at no additional cost to you. We strive to deliver the best car-buying experience possible. That’s why we offer this fantastic warranty so you can drive home happy and enjoy your purchase for years to come, worry-free. With our exclusive Lifetime Warranty, featuring unlimited time and miles, you can forget about keeping tabs on expiration dates and mileage limits. That’s two more things you don’t have to worry about. When we say complimentary, there’s no catch. This warranty truly is free, without any extra or hidden fees whatsoever. Keeping your warranty in good standing is simple. All you have to do is follow the manufacturer’s required maintenance schedule found in your owner’s manual and you’re good to go. No extra maintenance is needed to keep your warranty valid. While we provide reliable service here in our Service Department thanks to our team of factory-trained technicians, we understand that servicing your vehicle with us is not always convenient. If you have moved to a new location or are out of town traveling, you can choose somewhere that’s convenient for you. Simply keep your records if you service your vehicle elsewhere. 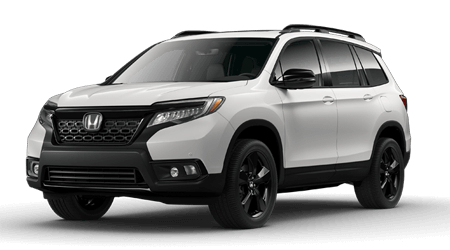 If you would like to learn more about our Lifetime Warranty in Morristown, TN, give us a call or stop by Honda Morristown at 4190 W Andrew Johnson Highway, Morristown, TN 37814 today. We look forward to serving our customers from Morristown, TN, and throughout the greater Knoxville, TN, area.